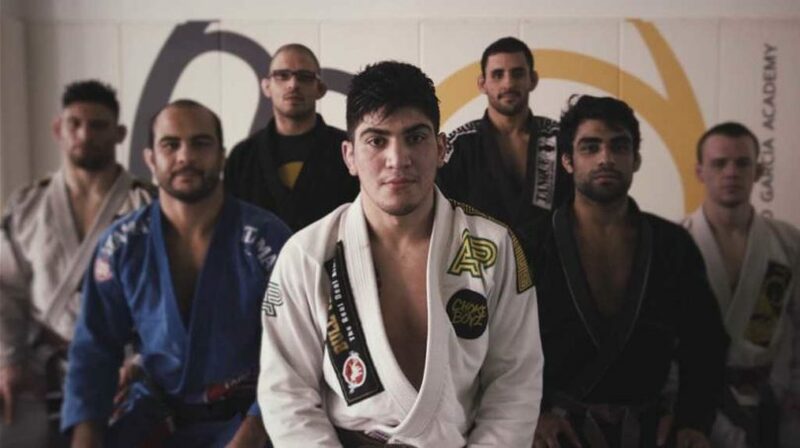 <p class=”Body”>Brazilian Jiu-Jitsu black belt and protege of the acclaimed Marcelo Garcia, Dillon Danis has been making waves in the grappling world. Training and competing primarily out of the Alliance Academy in New York, the young athlete has earned himself prestigious trophies, critical praise and adoring fans with his energetic and hard-nosed style used on the competition mats. He is known for utilising a whatever-it-takes mindset in his matches. Taking a win by force in any way he can, whether by dominating his opponent on points or snatching up a submission in split second opportunities. Most notably with his vicious leg attacks, though he has a tight guillotine choke in his arsenal for when the occasion arrises. Which training under Marcelo Garcia, is no real surprise. But not limited to just guillotines and leg locks, Danis has a complete and balanced overall game with solid applications of triangles, arm-bars and d’arces littered all over his grappling record. Whether he is on his back working his guard or standing over his opponent pressure-passing through their guard, Danis is clearly comfortable and able to work from all angles. Competing as a brown belt in 2014 and 2015 saw the prodigy compete, and win, in both his peso médio weight class as well as the absolute class. He tore through some of the toughest competitions and competitors to pick up big wins at the World Championships, the Pan Americans (both weight and absolute classes), the Abu Dhabi World Pro Championship and many more. He defeated men who were both older and heavier than himself on his way to glory. Off the mats, Dillon is known for his outspoken personality and his engagement in various feuds with other BJJ competitors such as Gordon Ryan and Garry Tonon. Including feuds that have come close to becoming physical altercations. As well as stirring up interest and animosity with potential opponents in the MMA sphere too. During a street fight in his New Jersey high school, Danis managed to put a prompt end to the fight by choking his opponent. Being vaguely familiar with MMA from TV, Danis attempted the choke in the heat of the moment and succeeded with it in a stroke of luck. 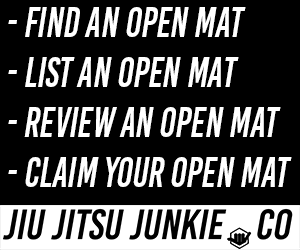 Whilst only really done on a whim, it opened Dillon’s eyes to the power and effectiveness of Brazilian Jiu-Jitsu and grappling in general as something real and tangible. Not just something abstract and out-there that he had seen on TV, but something that he pulled off in for real. Sensing both the clear potential in BJJ and in himself, he soon enrolled in a local BJJ academy in his home town of New Jersey. At the tender age of 15, Dillon was having to battle full-grown men in the academy on a daily basis. Men who were far older, far heavier and far stronger than himself. This proved to be a fertile training ground for the fledgling practitioner and likely where he learned to develop his famous drive and determination. The young, weak and fairly un-athletic teenager would train against professional UFC fighters such as Jim Miller, likely getting brutalised and submitted left, right and centre but learning valuable lessons in grappling. He would spend most of his time at the academy of Renzo Gracie black belt and renowned competitor, Jamie Cruz. At his time here, there would be various fighters and practitioners other than Jim Miller who Danis would come into contact with and have the luxury to train with and learn from. To combat what he felt was his physical weakness and athletic inferiority compared to his training partners, Danis began to train in wrestling too with coach Jason Lodato at Parsippany Hills. This training was incredibly valuable beyond just the physical benefits, as it helped build his takedown game and stand-up grappling that is sometimes overlooked by the average BJJ trainee. After two years of intense training at Jamie Cruz’s academy, Dillon begin to supplement his training here and his wrestling classes with what would become frequent trips to New York, to train at the famed Alliance gym with legendary BJJ figure, Marcelo Garcia. He progressed rapidly through the belts up until earning a brown belt under Jamie Cruz. But by the age of 19 he had moved to New York to train with Garcia full time and pursue a coveted career as a professional BJJ competitor. Whilst he had had success throughout his career, he really hit the big time after moving to New York and picking up various huge wins at the tough brown belt level. These wins brought with them fame, prestige and ultimately a black belt in April 2015 handed to him by Marcelo Garcia himself. Less than a month after earning that black belt, he was competing on the huge stage of Metamoris 6 against UFC veteran, Joe Lauzon. He finished the fight soundly with a deep, d’arce choke and made everyone in the MMA scene sit up and take notice of him. His next match ended in a less than ideal fashion as he was heel-hooked by Garry Tonon, another prodigy and rising star. Though to date, this is the only legitimate submission loss that Dillon Danis has to sully his black belt competition record. Dillon Danis has continued to impress at the black belt level and has appeared and competed at the highest level of competition in 2016. Whilst he has racked up a few points losses, including two to legend Leandro Lo and two to Diego Borges, in more recent months he has found himself in the winner column more often than not. His grappling success and big personality has attracted UFC superstar Conor McGregor to his cause, with the Irish fighter hiring him as a grappling coach ahead of his rematch with Nate Diaz. Dillon has made use of this situation to call out various UFC fighters for his possible future MMA debut, including up and coming stars like Sage Northcutt and even claiming that he would be able to dispatch Nate Diaz himself in the MMA arena.